food insecurity in Des Moines. More than 14 percent of individuals in Des Moines are food insecure, meaning they may not know where their next meal will come from. Every day thousands of adults and children often do not know how or where they will get their next meal. We strive to provide the most nutritious food possible in order to improve the health and well-being of people in our community. 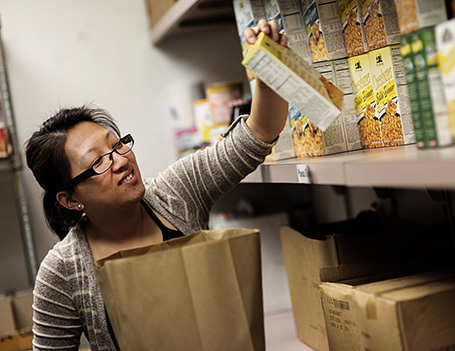 Our food pantries at Temple and Citadel provide 10,000 families in the Des Moines area with nutritious food every year, and our mobile breakfast service feeds another 1,000 homeless and low-income individuals each week. The food pantries at Citadel and Temple community centers feeds thousands of families each year, offering nonperishable food items each weekday and fresh produce when available. Monday, Wednesday, Thursday and Friday from 9 a.m.-noon and Monday through Friday from 1-4 p.m.
Monday through Friday from 9 a.m.-noon and 1-4 p.m., with a produce giveaway offering fresh fruits and vegetables every Wednesday from 1-4 p.m.
Our mobile breakfast service travels to five locations around central Des Moines on Tuesday and Friday mornings year-round to serve a hot egg casserole, as well as beverages, individual boxed cereals, donuts, hard-boiled eggs and other items when available to homeless and near-homeless people. For more information about the program, call 515-282-3599. Interested in volunteering or helping make a breakfast casserole? Learn more. We provide breakfast to high school students during the school year every Friday at East High School, located at 815 E. 13th St. Visitors of all ages are welcome, and no one will be turned away. More than 14 percent of Des Moines residents are food insecure. 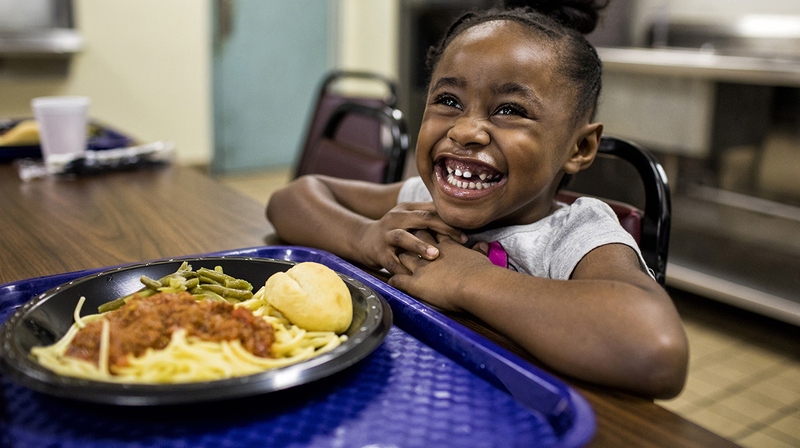 A donation to The Salvation Army feeds hungry children and adults in the metro area. Frigid winters are particularly dangerous for those without shelter. A donation to The Salvation Army provides breakfast to the homeless and near-homeless through our Mobile Breakfast Service.